Martin Murray beats Roberto Garcia to become the new WBC silver middleweight champion. A frustrating night for Martin Murray and an extremely awkward opponent in Roberto Garcia, required all of his experience to deal with it and deal with it he did, winning by Unanimous decision to become the new WBC silver middleweight champion. 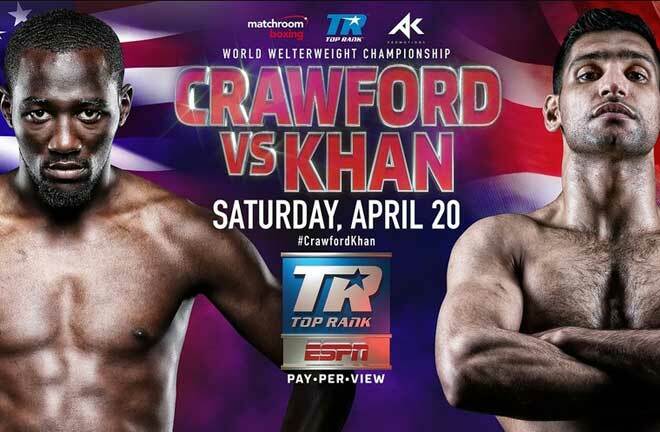 The first round started off very close with not much action from either fighter. Murray found success with his straight long shots, controlling the centre of the ring. However it was Garcia (38) who was the busier fighter out of the two, walking Murray down and throwing a number of shots to the body. Mexican Native Garcia, started the second round as the clear aggressor, at times forcing Murray up onto the ropes where the Merseyside fighter clearly didn’t want to be. However, Garcia was deducted a point for a low blow. Murray (35) showed a great variety of shots, although not landing with any real conviction. The referee who’s performance could be deemed as ‘questionable’ was right on Garcias case as the earlier rounds went on, not allowing him to engage Murray In the slug fest that he wanted. Murray landing with a great right hand of his own after catching one late on in round 3. 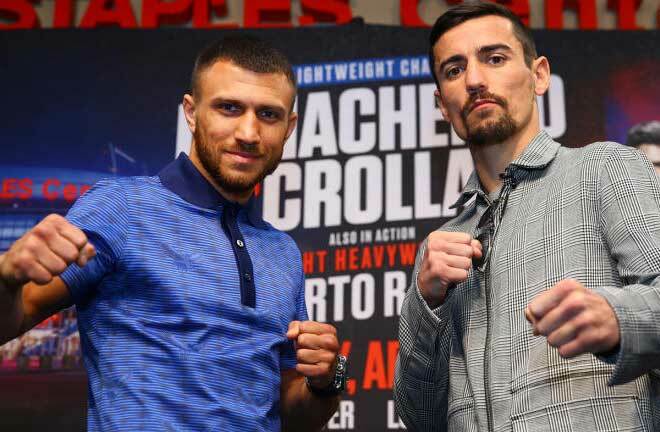 Early rounds were extremely close between the two fighters, Murray landing a good variety of shots with the aim of being more precise than powerful, whereas Garcia was the much more aggressive fighter continuously moving forward trying to brawl. 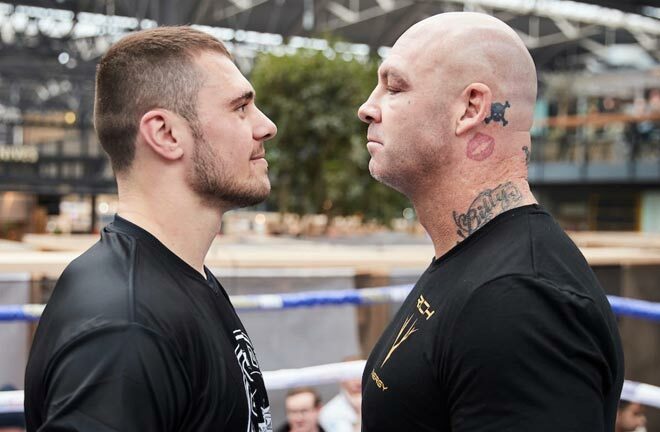 If the earlier rounds were close, the latter were not so much, Murray started to look a lot more convincing gaining back control of the centre of the ring, throwing solid combinations and finishing with a great left hook. It was clear that Roberto Garcia was starting to get frustrated with how the fight was going. 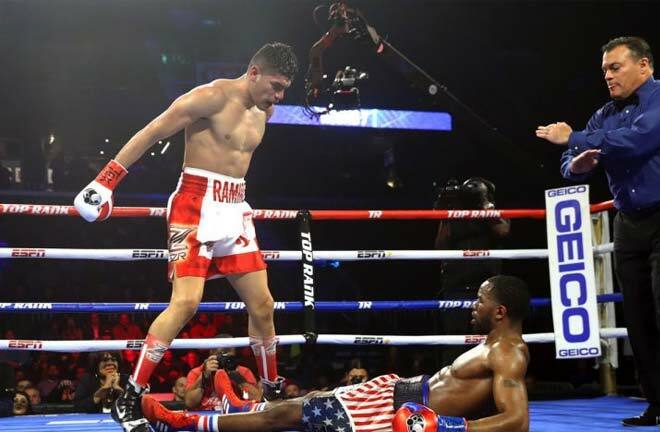 Another controversial decision from the Panama referee helped push the fight further away from Garcias grasp. A second point was deducted from the Mexican, this time for punching to the back of Murrays head. Garcia was not happy about the decision in the slightest, however it had come after he had already landed an extraordinary number of low blows on Murray. As the later rounds came to a close, Garcia put his foot on the gas trying his very best to salvage the fight and keep hold of his WBC silver title. It was Murray who was still controlling the fight however despite being the less busier fighter, landing flush with a great right hand in the eleventh round. After 9 months out of the ring this was a difficult fight for Murray to come back to, it was as if all his frustrations and annoyances outside of the ring had come to face him head on inside it. The win, along with picking up the WBC silver middleweight title has allowed him to be considered for maybe one more title shot and Murray still believes he has what it takes to become a world champion; he said: “I wouldn’t be doing it if I didn’t believe there is a world champion in me”. What next for Martin Murray? With a rematch against Gennady Golovkin looking unlikely anytime soon due to his rematch with Canelo Alvarez, Murray might have to look to WBO champion Billy Joe Saunders once more to gain a 5th title shot, when asked about whether he would agree to take the fight after being let down by Saunders on more than one occasion Murray said: “He’s not done it once, he’s done it twice, there would have to be some kind of insurance, because you can’t trust the man”. 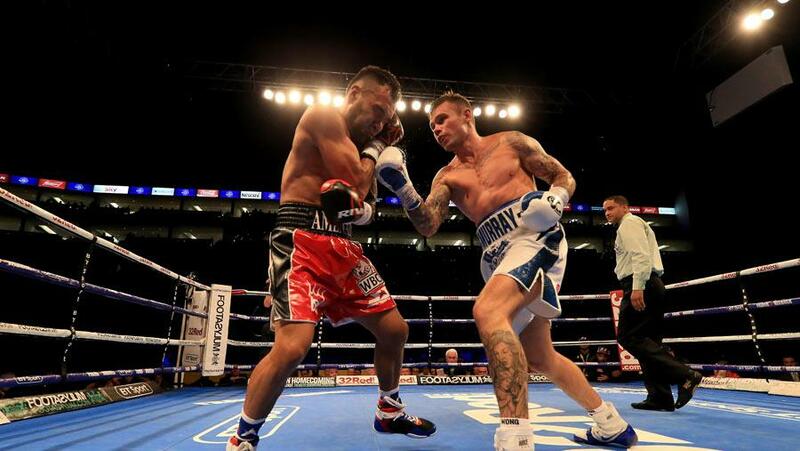 As to who Martin Murray fights next and whether its for a world title remains unknown, but he will be pleased to have got through a tough test against Garcia ending his opponents 12 fight win streak, picking up what was his 37th career win. Rising Heavyweight star Daniel Dubois picked up the English Heavyweight title with a brutal performance against fellow Briton Tom Little. Dubois stopped Little in round 5 after applying a barrage of punishment to the the 30 year old, who was extremely confident in the build up to the bout. Dubois still only 20 years of age showed his inexperience in the professional game at times, rushing in and trying too hard to get the KO finish. Once he had calmed down he managed to drop LIttle to the canvas in round 4 with a wonderful body shot. Little showed great heart to get back to his feet after that one. It wasn’t long until Dubois managed to finish the fight, referee Terry O’Connor jumping in to save his opponent, who was already gassed from sustaining further punishment. Ohara Davies added the WBC international super-Lightweight title to his collection after stopping opponent Paul Kamanga in devastating fashion. The Hackney boxer needed just two rounds to put an end to Kamangas night, landing clean with a ferocious right hook twisting his opponents body into the air and landing face first on the canvas, in what was a spectacular highlight reel knockout. Ohara is now on a three fight win streak, showing that his loss to Scottish rival Josh Taylor at the end of last year has been firmly put behind him. Anthony Yarde will no doubt want to move onto a higher level of opponent after handing Dariusz Zek his first ever stoppage loss. Yarde now has 15 stoppage wins from 16 fights. ‘The Beast,’ Yarde applied relentless pressure to his opponent right from the very start, up until the finish which came in the 7th round. The referee jumping in to stop the fight and save Zek from sustaining any more damage. 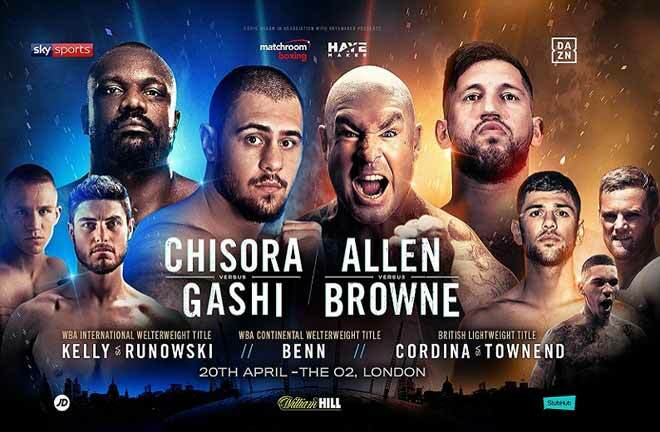 The Hackney fighters win meant he retained his European and WBO intercontinental titles, however fans will be hoping for a more competitive fight against a more competitive opponent in his next outing.